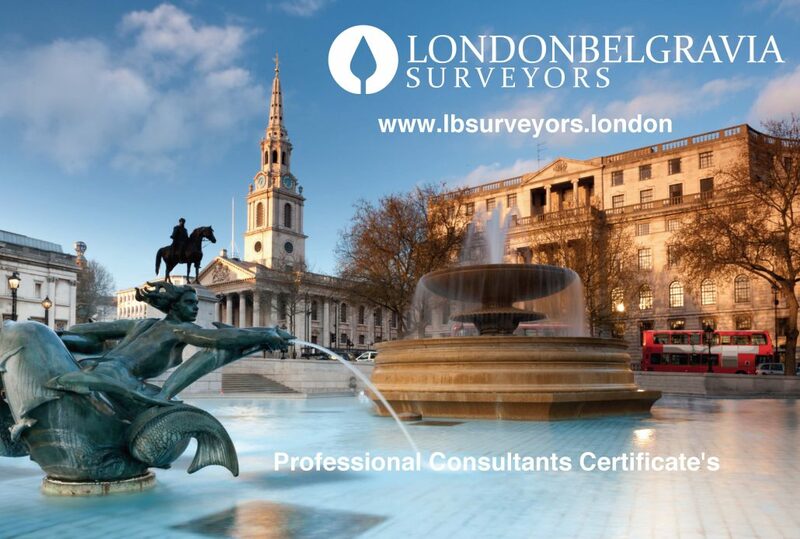 London Belgravia Surveyors are a firm of surveyors that radically reduce your costs on surveyor fees by combining the surveying functions into a one stop service. We save the developer considerable overlap of effort and expenditure. By delivering a holistic surveying service where our clients can source all their needs in one place dispensed by one surveyor we save you considerable time and money. Through our use of bespoke software, we are able to reduce the cost of monitoring the works whilst increasing the level of oversight. Our professional consultants certificate allows developers to prove that they are building to the correct standards for both development finance lenders and high street banks for mortgage purposes. We (our chartered surveyors) monitor the works throughout the build period reporting back to the client and the lender with any issues or remediation’s there may be. At the end of the build we issue the certificate and the developer can use this as proof to mortgage companies that the work has been carried out to the correct standards in line with Building control. A conversion of an old factory into 4 luxury flats that are to be sold. The Post work reinstatement value is £7,776,000, Build cost: £ 4,246,000 and GDV: £ 12,000,000.00. The project had well recognised project managers, quantity surveyors and architects working on it. All technical information was made available and was analysed and approved by our building surveying team. The client decided to go ahead with our service based on lender acceptance and cost.